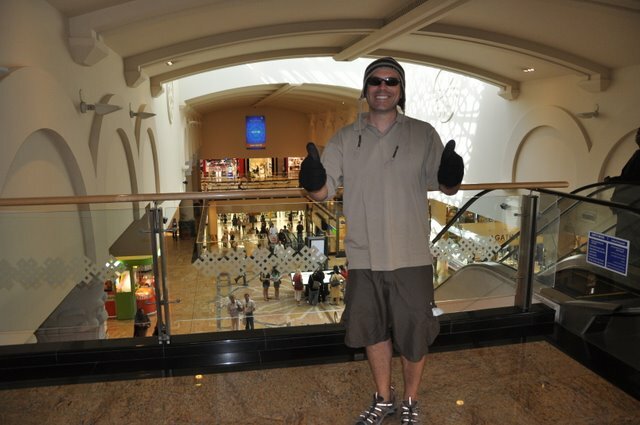 It was completely surreal to walk into a mall with shorts and a T-shirt on and see a winter oasis through monster glass windows. I felt as if I was looking at a gigantic snow globe. 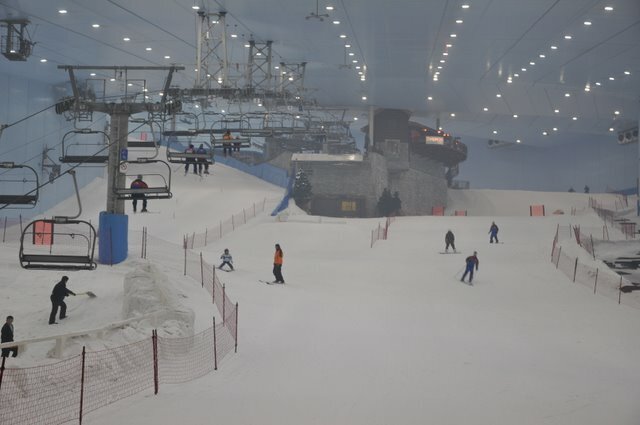 Ski Dubai(website) is the first indoor ski resort in the Middle East, and it really does offer an amazing snow setting to enjoy skiing and snowboarding. 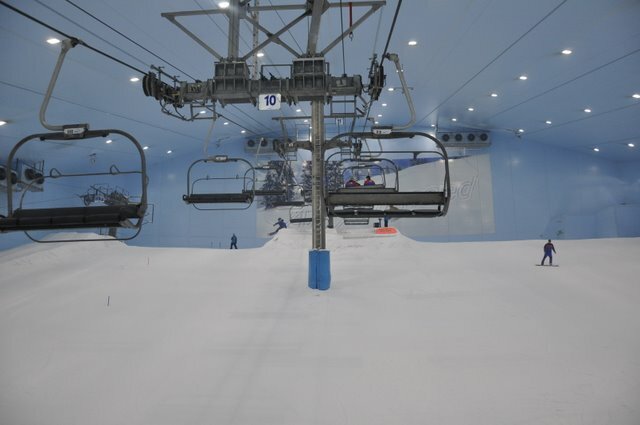 There’s also a separate area for kids to go tobogganing or roll down in a Zorb, which they call a snow ball. 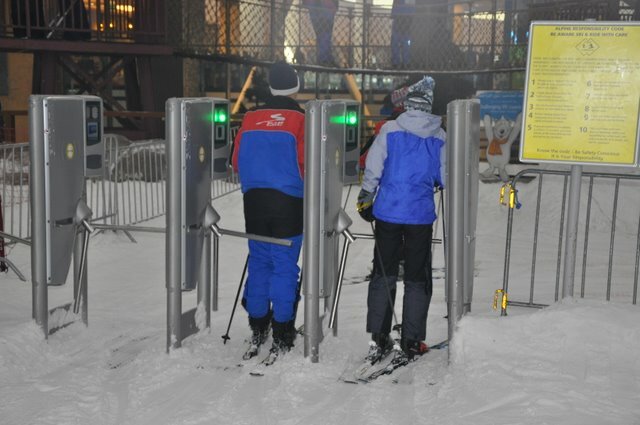 Advanced skiers/snowboarders can practice stunts or jumps in the freestyle zone. 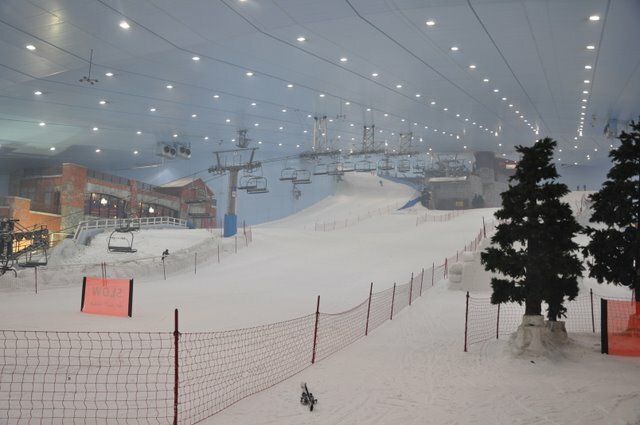 It’s available all year round, and the total area covered with real snow is 22,500 square meters (242,200 square feet or 5.5 acres). 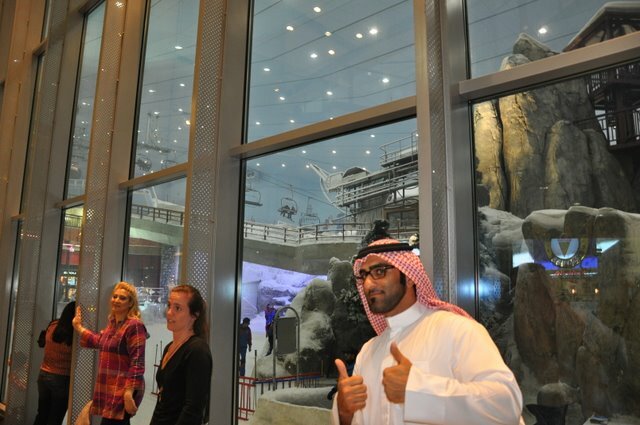 It’s 85 meters high (about 25 stories) and 80 meters (87 yards) wide. 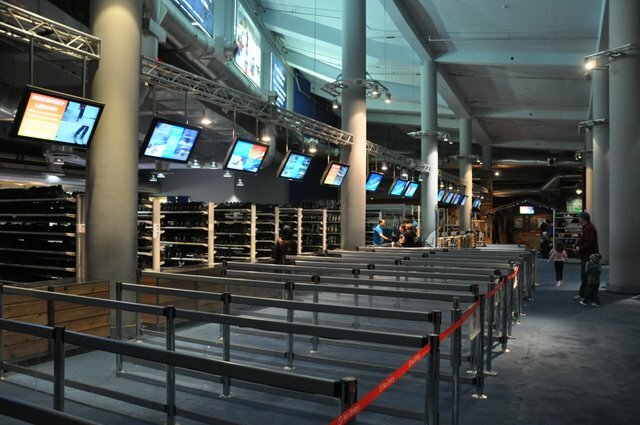 The longest run is 400 meters (437 yards), and the maximum capacity is 1,500 guests. 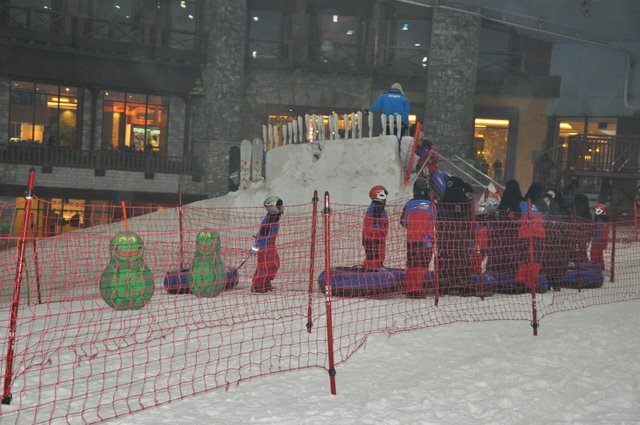 When I was there I saw maybe 30 people on the slopes and 100 or so in the kids’ section. 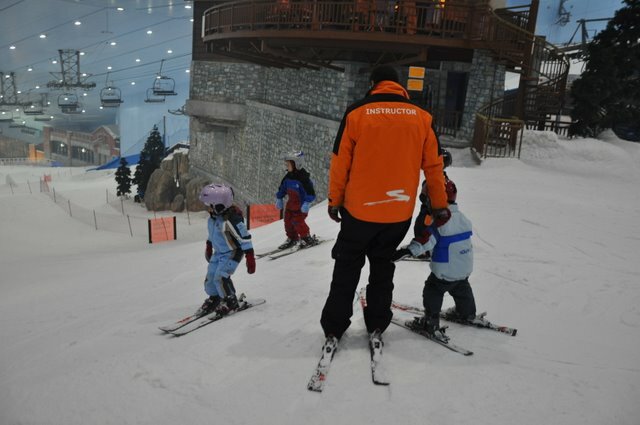 Cost for a two-hour slope pass for adults is 180AED (US$50), children 150AED (US$40). 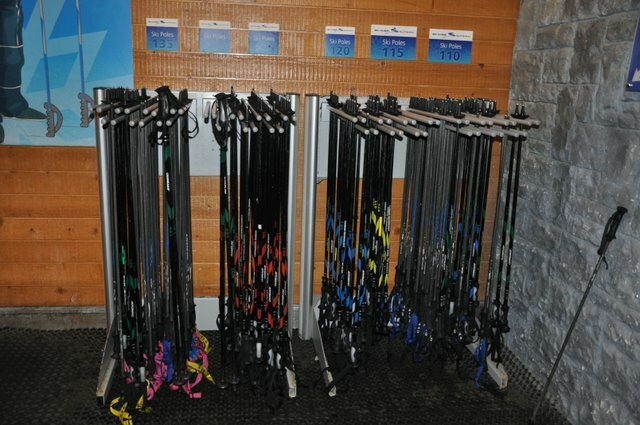 I only had time for an hour, and I made five runs and took my time. 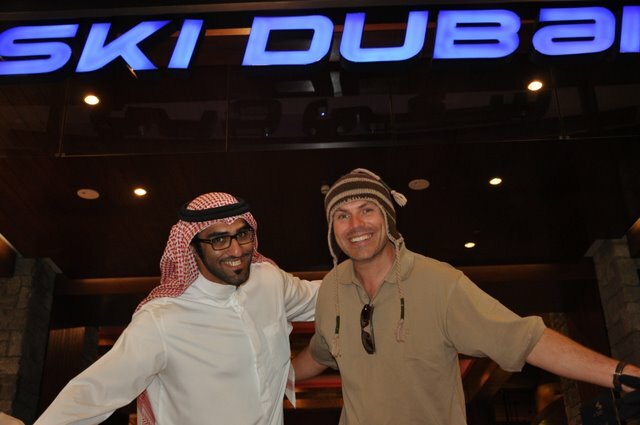 The best part about Ski Dubai is that you don’t need to pack your ski clothes from home. 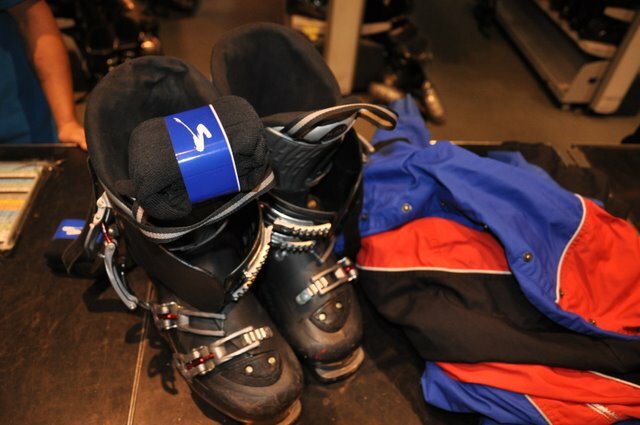 A lift ticketincludes rental jackets, ski pants, ski boots with disposable socks, skis, ski poles, and helmets for children. 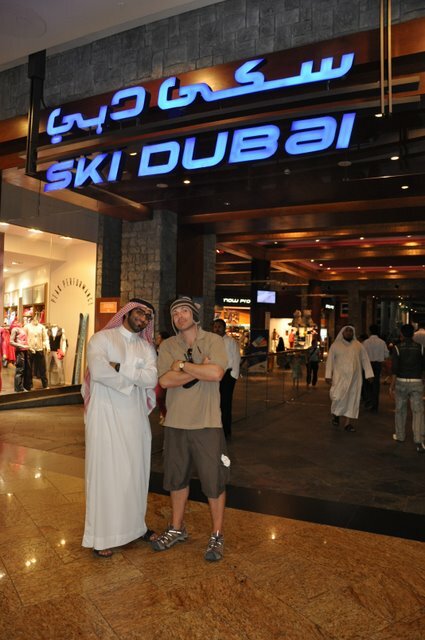 The only thing you need to bring or buy (they have a ski shop) is hats and gloves, for hygiene reasons. 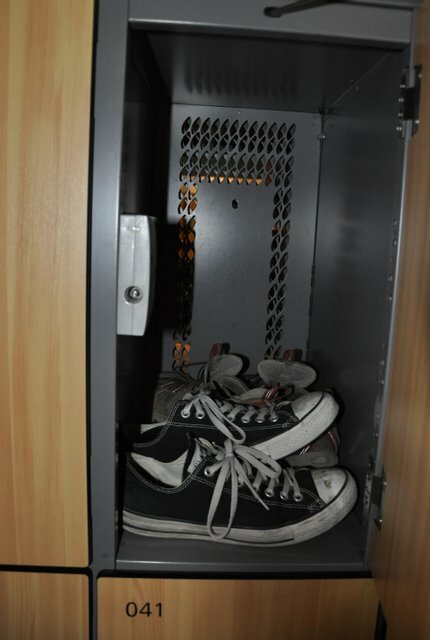 If you want a locker they charge a 20AED (US$5.40) deposit for a key card and locker. 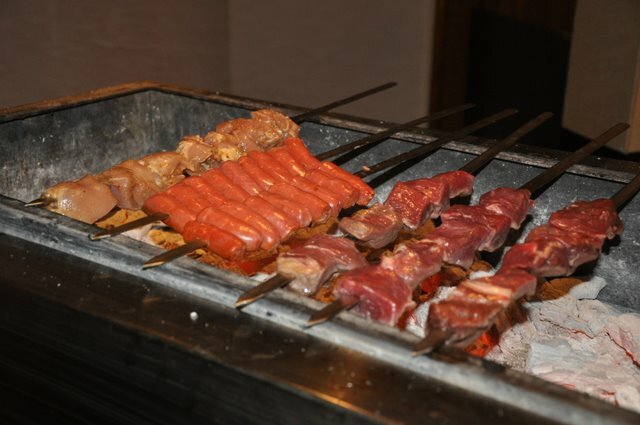 You get it back in cash even if you pay by credit card. 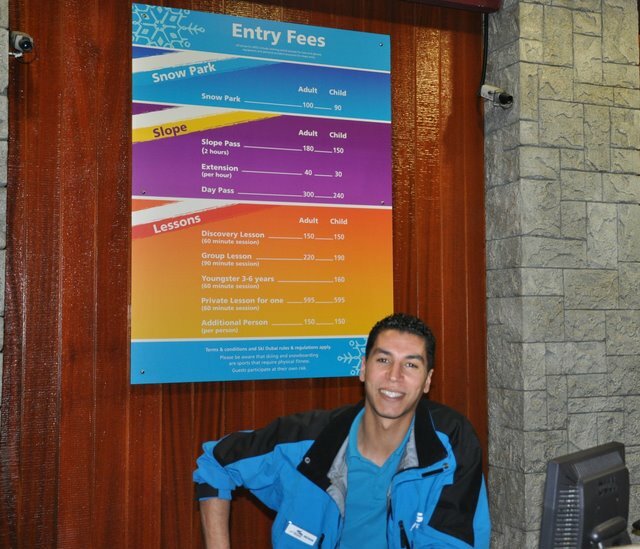 Ski Dubai has just one quad chair lift that has a state-of-the-art ticketing system. 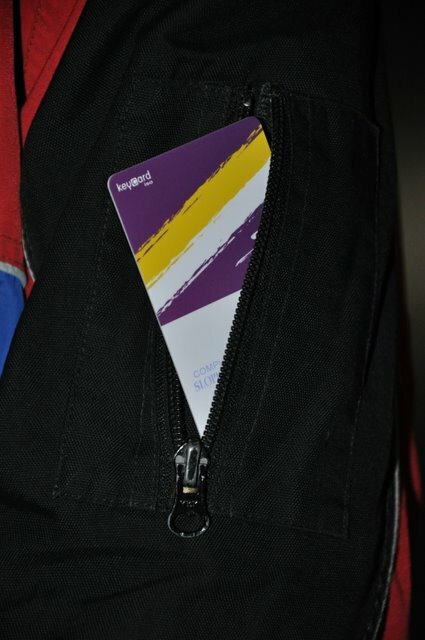 A key card is placed in a pocket on your left sleeve jacket and it gets scanned as you enter the lift line. 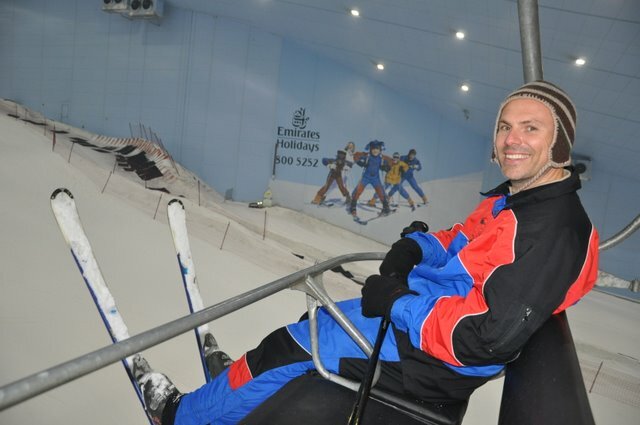 Thechair makes two drop-offs but it doesn’t stop. 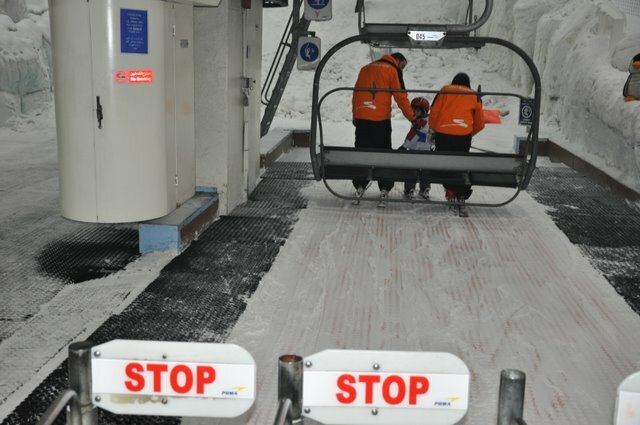 The first is for thebeginner slope, which is right next to Avalanche Café at the mid-station (BTW: There’s another themed restaurant at the entrance,St. 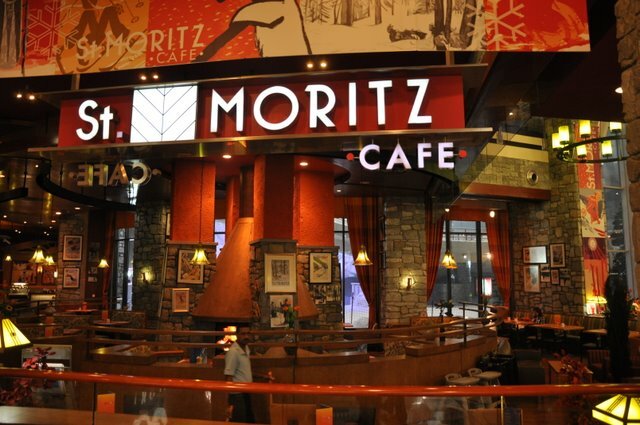 Moritz Café ). 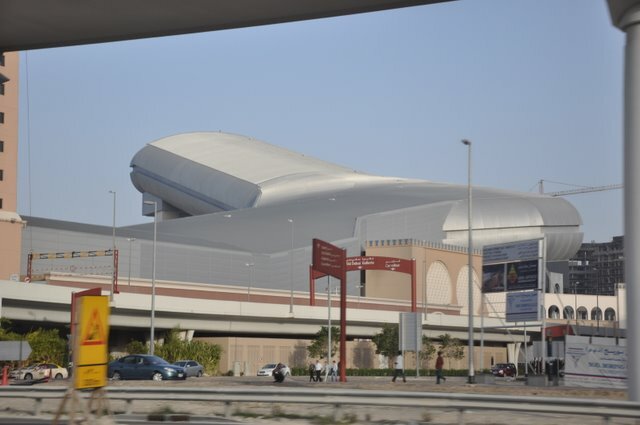 The chair then makes a left turn up the mountain (building). 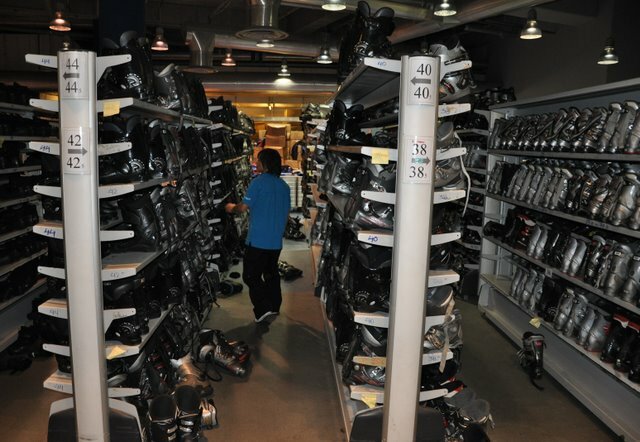 The cold air (-2° Celsius = 28° Fahrenheit) makes you feel like you are in the mountains, but the few fake trees, the walls, and the music pumping remind you that it’s all make believe. 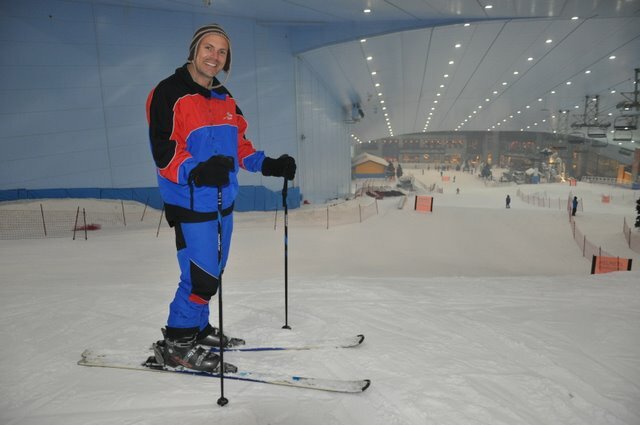 The advance run isn’t a challenge for an expert, but for someone like me who hasn’t skied in years it was just what I needed. 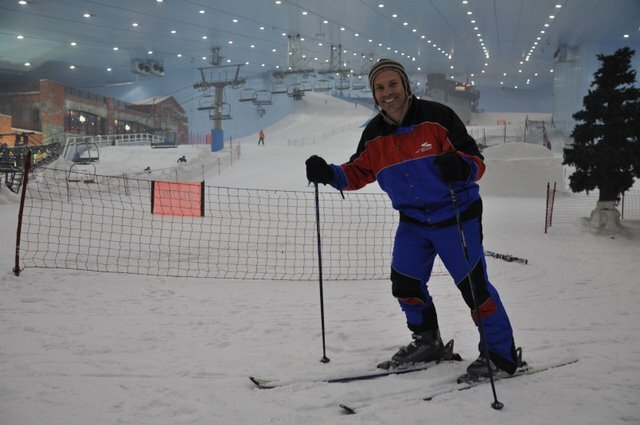 In fact, it was so much fun it actually got me in the groove to hit the real slopes again.